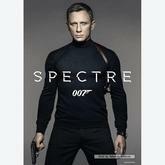 Movies There are 28 products. 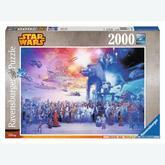 A 500 pieces jigsaw puzzle made by Ravensburger (reference 146772). Size: 49 x 36 cm (= 19.3 x 14.2 inch). 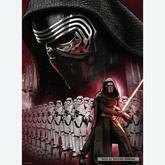 Special series: Star Wars. In stock and ready to ship out. 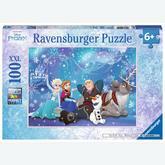 A 500 pieces jigsaw puzzle made by Ravensburger (reference 146673). Size: 49 x 36 cm (= 19.3 x 14.2 inch). Special series: Star Wars. In stock and ready to ship out. A 1000 pieces jigsaw puzzle made by Ravensburger (reference 195497). Size: 70 x 50 cm (= 27.6 x 19.7 inch). 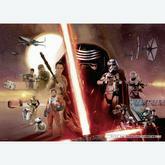 Special series: Star Wars. In stock and ready to ship out. A 1000 pieces jigsaw puzzle made by Ravensburger (reference 195541). Size: 70 x 50 cm (= 27.6 x 19.7 inch). Special series: Star Wars. In stock and ready to ship out. A 1000 pieces jigsaw puzzle made by Ravensburger (reference 195732). Size: 70 x 50 cm (= 27.6 x 19.7 inch). In stock and ready to ship out. 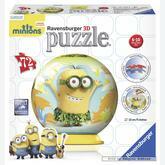 A 216 pieces jigsaw puzzle made by Ravensburger (reference 125890). Size: 5 x 5 x 39 cm (= 2.0 x 2.0 x 15.4 inch). Special series: Puzzle 3D. 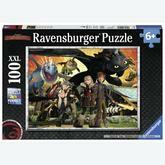 A 72 pieces jigsaw puzzle made by Ravensburger (reference 121700). Size: Diameter 13 cm . Special series: Puzzle 3D. 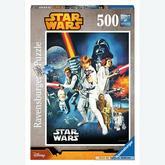 A 500 pieces jigsaw puzzle made by Ravensburger (reference 146628). Size: 49 x 36 cm (= 19.3 x 14.2 inch). Special series: Star Wars. In stock and ready to ship out. A 1000 pieces jigsaw puzzle made by Educa (reference 16524). Size: 68 x 48 cm (= 26.8 x 18.9 inch). 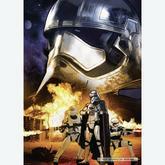 Special series: Star Wars. In stock and ready to ship out. A 1000 pieces jigsaw puzzle made by Ravensburger (reference 195763). Size: 70 x 50 cm (= 27.6 x 19.7 inch). Special series: Asterix. 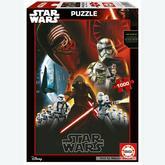 A 1000 pieces jigsaw puzzle made by Educa (reference 16342). 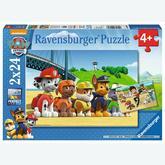 A 24 pieces jigsaw puzzle made by Ravensburger (reference 090648). Size: 26 x 18 cm (= 10.2 x 7.1 inch). 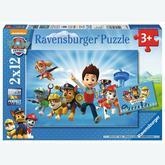 A 12 pieces jigsaw puzzle made by Ravensburger (reference 075867). Size: 26 x 18 cm (= 10.2 x 7.1 inch). 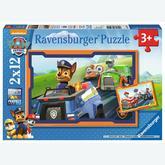 A 12 pieces jigsaw puzzle made by Ravensburger (reference 075911). Size: 26 x 18 cm (= 10.2 x 7.1 inch). 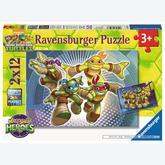 A 12 pieces jigsaw puzzle made by Ravensburger (reference 075973). Size: 26 x 18 cm (= 10.2 x 7.1 inch). 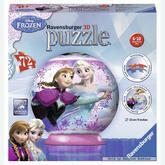 A 12 pieces jigsaw puzzle made by Ravensburger (reference 075980). Size: 26 x 18 cm (= 10.2 x 7.1 inch). 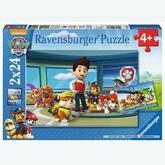 A 24 pieces jigsaw puzzle made by Ravensburger (reference 090853). Size: 26 x 18 cm (= 10.2 x 7.1 inch). 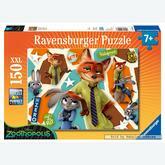 A 150 pieces jigsaw puzzle made by Ravensburger (reference 100286). Size: 49 x 36 cm (= 19.3 x 14.2 inch). Special series: XXL. 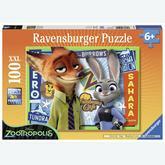 A 100 pieces jigsaw puzzle made by Ravensburger (reference 105991). Size: 49 x 36 cm (= 19.3 x 14.2 inch). Special series: XXL. 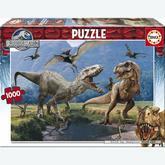 A 100 pieces jigsaw puzzle made by Ravensburger (reference 109111). Size: 49 x 36 cm (= 19.3 x 14.2 inch). Special series: XXL. 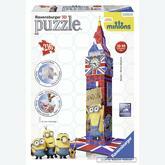 A 100 pieces jigsaw puzzle made by Ravensburger (reference 109180). Size: 49 x 36 cm (= 19.3 x 14.2 inch). Special series: How to Train Your Dragon. 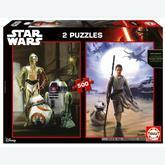 A 72 pieces jigsaw puzzle made by Ravensburger (reference 121731). Size: Diameter 13 cm . Special series: Puzzle 3D. 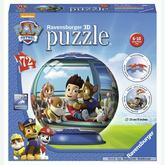 A 72 pieces jigsaw puzzle made by Ravensburger (reference 121861). Size: diameter 13 cm . Special series: Puzzle 3D. 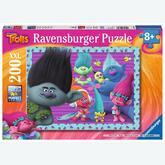 A 200 pieces jigsaw puzzle made by Ravensburger (reference 128396). Size: 49 x 36 cm (= 19.3 x 14.2 inch). Special series: XXL. In stock and ready to ship out. A 1000 pieces jigsaw puzzle made by Ravensburger (reference 196043). Size: 70 x 50 cm (= 27.6 x 19.7 inch). Special series: Disney. A 1000 pieces jigsaw puzzle made by Ravensburger (reference 196937). Size: 70 x 50 cm (= 27.6 x 19.7 inch). 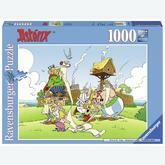 A 2000 pieces jigsaw puzzle made by Ravensburger (reference 167012). Size: 98 x 75 cm (= 38.6 x 29.5 inch). 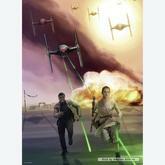 Special series: Star Wars. In stock and ready to ship out.